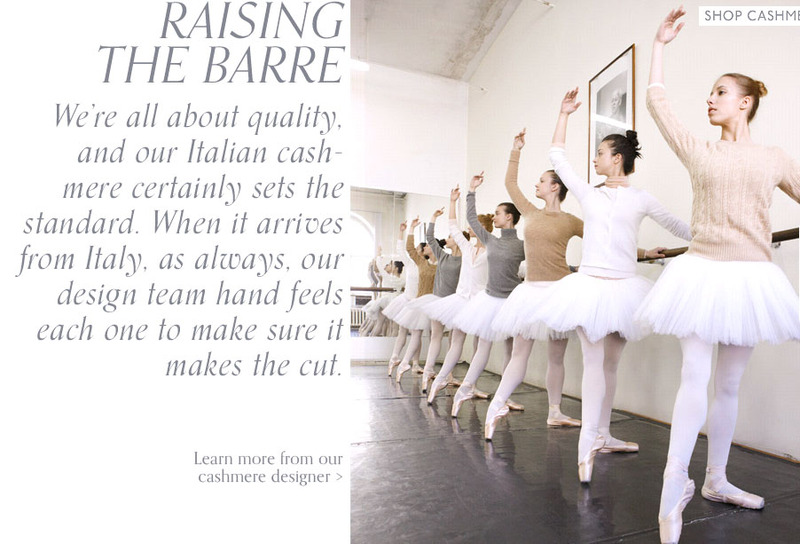 I never get the JCrew catalog, but for some reason I got it today and it featured dancers from the Mariinsky ballet school in Saint Petersburg, Russia. 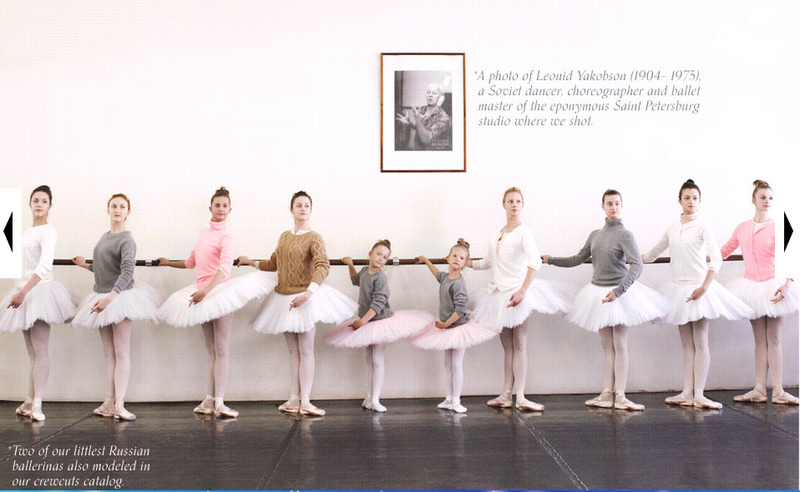 The photos are beautiful and I love how they paired their white tutus with JCrew cozy, cashmere sweaters. I always wear old sweaters and shrugs in the winter for ballet class...so I definitely related to these photos and admit it makes me want to buy one. It also makes me wish for cold, winter weather. Ok, enough of me blabbering...enjoy the photos! All photos copied off of JCrew's website. What agreat idea for a catalog! But nothing makes me wish it was cold! LOVE those pics! Makes me wish I was a ballerina!!! But not wish for cold. Nothing makes me wish for cold!